The Lan Su Chinese Garden in the Chinatown neighborhood of Vancouver, BC. is a little piece of serenity in a very busy downtown. All of the garden’s materials were brought in from the city of Suzhou, Vancouver’s sister city and built by citizens of that city. I took the 45 minute tour lead by a wonderful docent while my other family members wondered off to find their own adventures. One of the interesting facts I learned is that the decorative windows in the walls are all different and they are called leaks because they lead in light and air. More information can be found here. 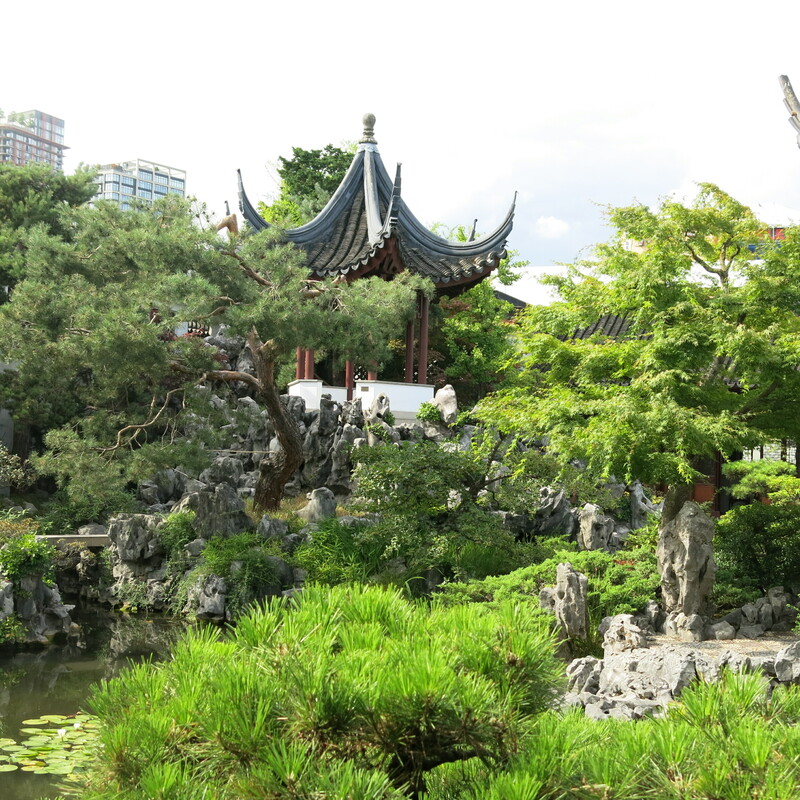 This entry was posted in Art -- there is art here!, Canada, Museums and tagged BC, calm, chinese garden, chinese gardens, city, docent, downtown, garden, gardens, Lan Su Chinese Garden, leak, peaceful, Suzhou, Vancouver on July 25, 2015 by admin.